This is my second Diamine vs Montblanc, and I have to say Montblanc is seriously disappointing. For the price, I would expect SIGNIFICANTLY different colors. 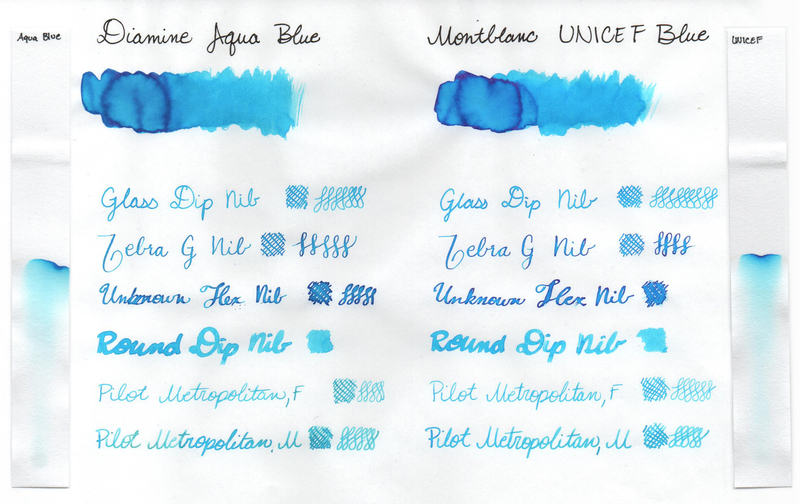 These two are so similar I can’t help but wonder if UNICEF blue is just rebottled Aqua Blue. If you have any suggestions for future comparisons, let me know in the comments. And check out my other Ink Dupes posts.